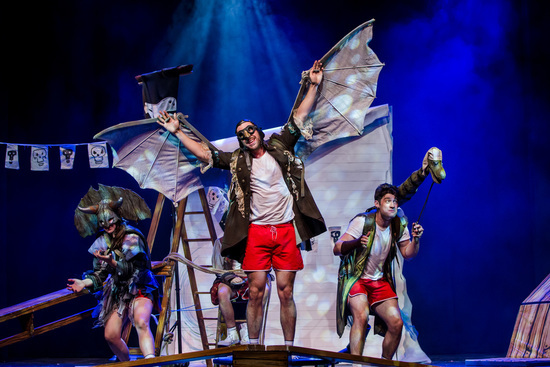 Following a highly successful run at the Edinburgh Fringe 2016, Captain Flinn and the Pirate Dinosaurs 2: The Magic Cutlass sets sail on a UK tour. Les Petits Theatre Company (Adventures in Wonderland) return to the high seas after their hugely successful and award-winning Captain Flinn and the Pirate Dinosaurs (winner of the Primary Times Children’s Choice Award 2012) rollicked the rigging and spliced the mainbrace! 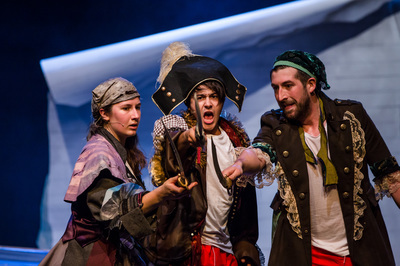 The Magic Cutlass is the hugely anticipated sequel based on the award-winning book by Giles Andreae and Russell Ayto. The shining eyes and smiling faces of all around me were confirmation of a job very well done by the cast of this very entertaining production (Primary Times). 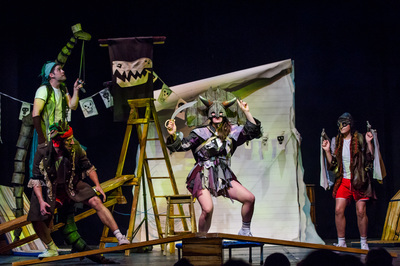 When Flinn, Pearl and Tom are in the middle of their school play their old nemesis, Mr T the T-Rex, appears and kidnaps the children forcing them to hunt for the elusive Magic Cutlass - a sword that grants the holder any wish. The children are whisked away for another fantastic adventure to a world of devious dinosaurs, deep sea dangers and smelly sausages. 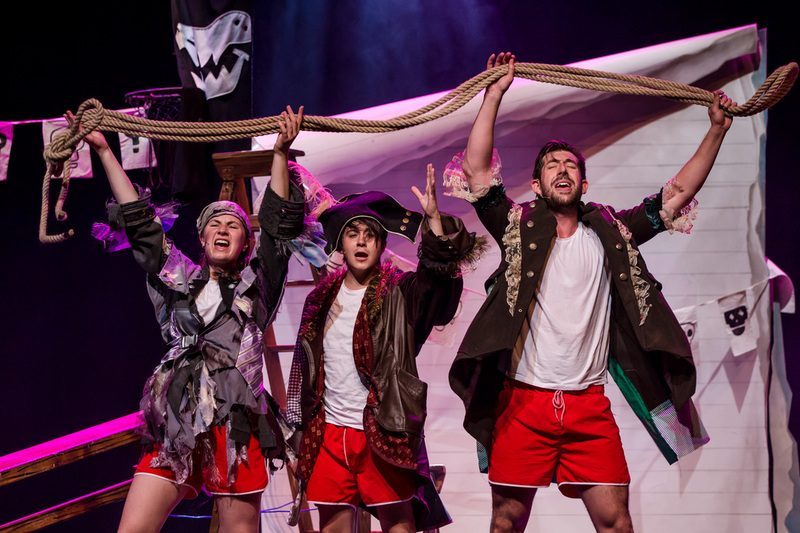 It's all aboard, me hearties, for a real life pirate adventure! Will fearless Flinn be able to outwit the pirate dinosaurs? Will Pirate Pearl be brave enough to battle the dangerous dinos and will terrified Tom be back in time for tea? All aboard for a non-stop action-packed theatrical experience with live music by the amazing Tom Recknell and dastardly dinosaur puppets by the genius Max Humphries! Writer Oliver Lansley comments, We have had such fun revisiting the world of Captain Flinn and the Pirate Dinosaurs – this show is even bigger, better and sillier than the first. 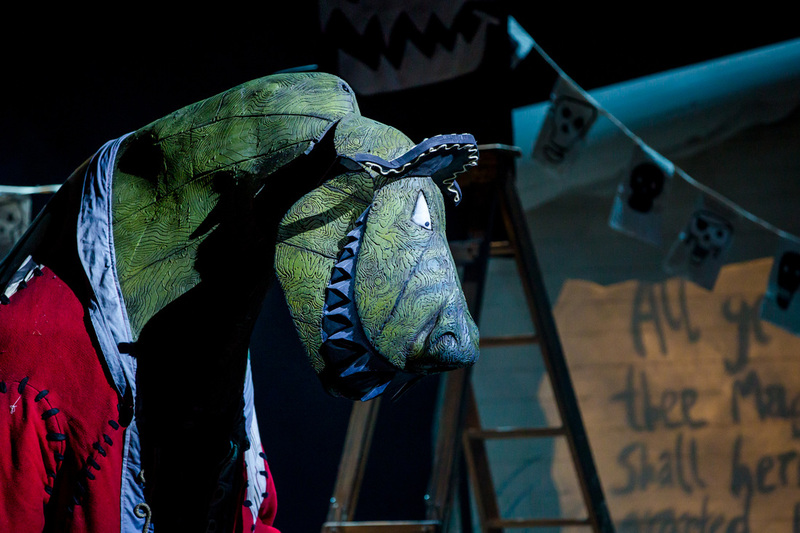 We have a ten-foot Tyrannosaurus rex, an exploding sausage machine and an actual magic cutlass - what's not to love? 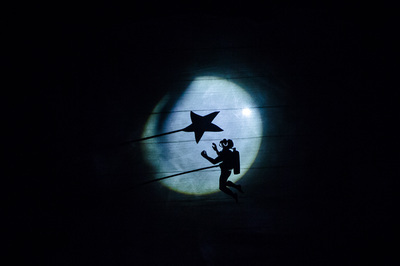 The show has been selling out and receiving rave reviews at the Edinburgh Fringe and we can't wait to take it on tour. Lansley co-wrote BBC2’s Whites starring Alan Davies and is currently working on the new series of E4’s Misfits. 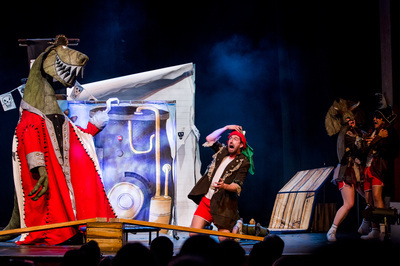 He is also an established actor having played Kenny Everett in the BAFTA-winning show Best Possible Taste where he was nominated for Best Actor at the RTS Awards. Lansley is a past winner of Channel 4’s 4-Talent Awards ‘Multi-talented’ award and was previously named one of the Broadcast Hotshot’s by Broadcast magazine. Captain Flinn and the Pirate Dinosaurs 2: The Magic Cutlass is brought to life by Les Petits, the exciting children’s theatre company from the team behind internationally-acclaimed theatre company, Les Enfants Terribles (Dinner at the Twits, The Game’s Afoot and Alice’s Adventures Underground). Les Petits transport the Les Enfants Terribles’ aesthetic to their family-friendly shows to create a production which is enjoyed by adults and children alike. 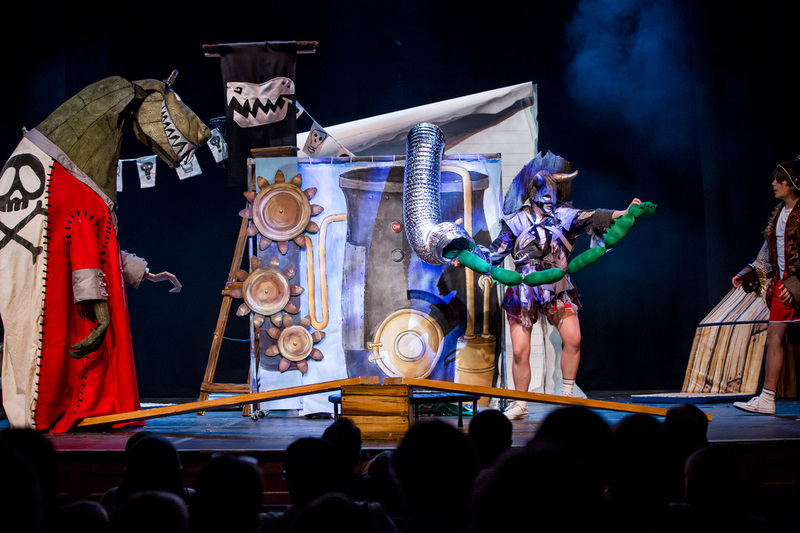 Les Petits Theatre Company, born in September 2012, was established to inspire, enthuse, entertain and delight young audiences. 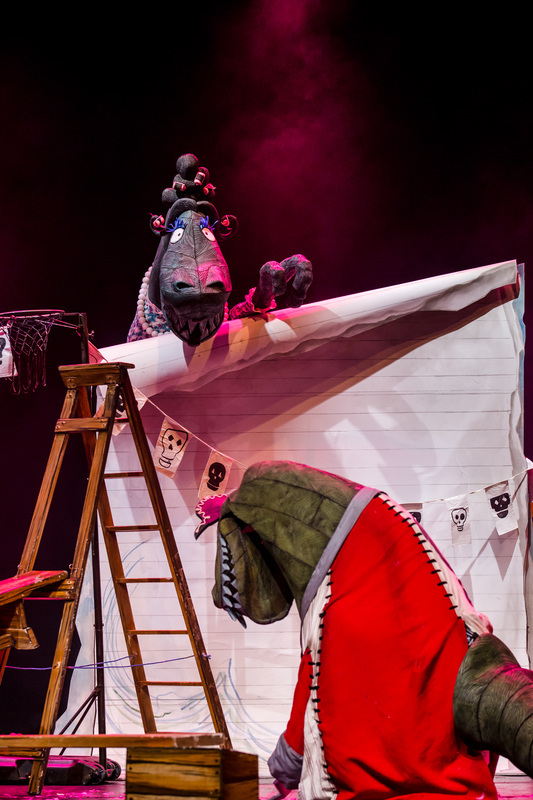 Using well-known and loved children's literature we aim to take stories from the page and bring them to life on the stage in creative and exciting ways.